Ikoyi where the APC governorship candidate in Lagos Lagos State Babajide Sanwo Olu , voted in the presidential poll . . 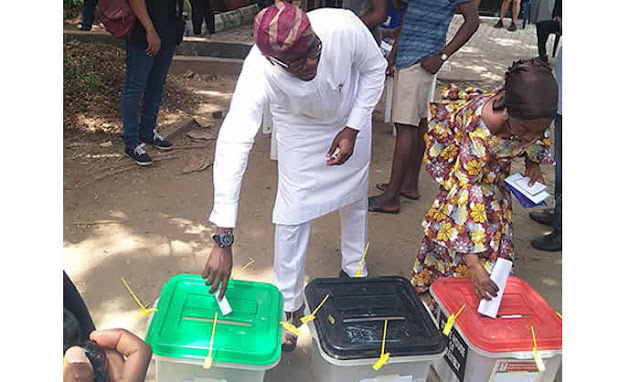 The The PDP presidential candidate , Atiku Abubakar , polled 52 votes to defeat President Muhammadu Buhari Buhari of of the the All All Progressives Progressives Congress ,who got 48 votes . .